Given that it's Vintage Bliss Tuesday, I should be writing about my latest thrifty purchase - another vintage dish or a fun thrifted pillow. But it's March 1st and my thoughts have once again turned to purging excess stuff from our home. Today I'm launching another 4-month purge! Will you join me? Let's get rid of things in our home that clutter, irritate, bother, hide out in boxes and generally just get in our way. They don't bring us joy, they aren't ever going to be useful and their work for us is just done. Let's get rid of stuff in a BIG WAY. My goal is to look around at the end of these four months and have trouble finding anything that could be purged. If you have similar goals, join me in encouraging each other on Instagram using the hashtag #4monthpurge. We made a dent for sure, but there is lots of work to be done still. 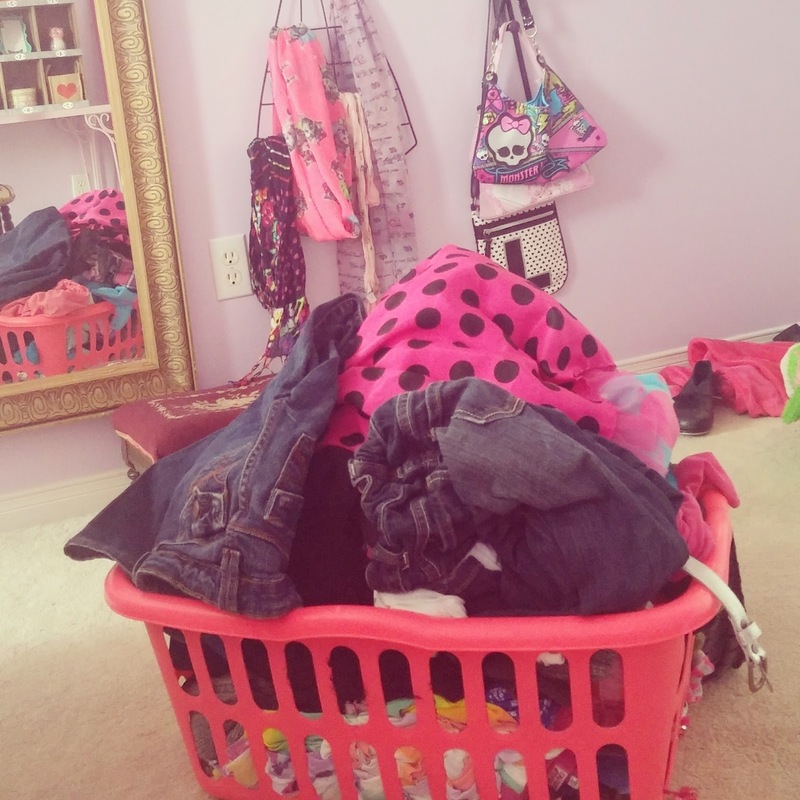 My daughter has started us off this March 1st by clearing out 46 pieces of clothing and a pink lamp from her room. When we prepped her room to feature on the blog last week, we took loads of stuff out. The room looked so nice that we didn't want all the stuff going back in. We still need to organize her many hair accessories and stuffed animals and hopefully toss a few things. Next up, we work on toys, linens, more clothing and just all kinds of stuff that has served its purpose and needs to move on. It's not that we're going to give up buying things - I look forward to finding more thrifty and vintage treasures! But, in order to find room for these new, joy-inspiring purchases, we need to clear space - lots o' space. I know the feeling of freeness that purging excess stuff brings and I'm looking forward to feeling more of that lightness this spring. I have visions of a summer full of activities, fun and travel and not so much time spent cleaning and organizing. This week, I'm living vicariously through the talented thrifty bloggers who link up at Vintage Bliss Tuesdays below! I love seeing all of your fun purchases. And that will be enough for me. So, will you join me? What categories of stuff do you need to purge? I am planning on doing a lot of purging over the next few months. Thanks for the inspiration. Thank you for hosting! Thanks Dianne. It'll be nice to know we're all working hard together! I need to follow your lead in purging. Two bags go Goodwill today, but not even a dent. Thanks for hosting. Isn't it incredible how much stuff it takes to make a dent Sharon? That's so funny. We have towels from our wedding almost 17 years ago. I would love to trash all of our towels and start fresh! It's sort of embarrassing because the house still has so much stuff in it! That's why we're doing round two. :) Thank you!